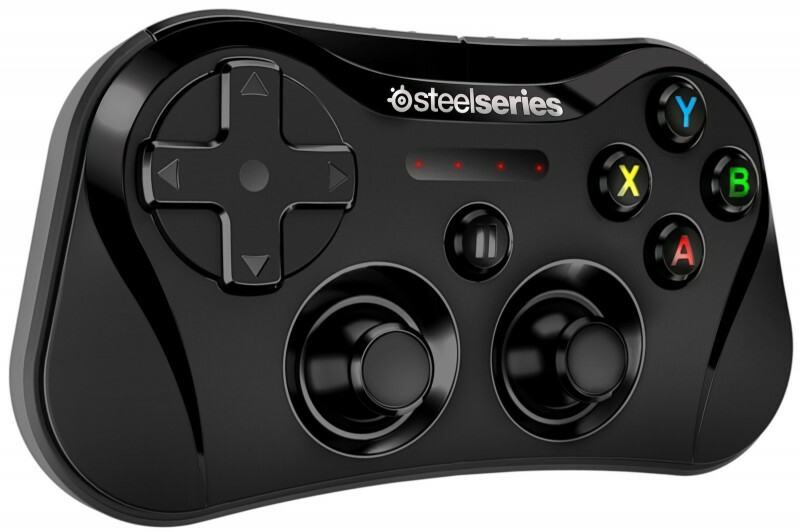 Current MFi game controllers designed to work with devices running iOS 7, including offerings from MOGA, Logitech, and SteelSeries have all been unpopular with reviewers due to their high price tags, their build quality, and lack of game support. While it has been unclear why each manufacturer has chosen a $99 price tag and why all controllers have suffered from the same quality control problems, a new report from 9to5Mac sheds some light on the issue. As it turns out, the main issue driving up price is Apple's strict guidelines on the creation of the controllers. Apple is requiring manufacturers to source the pressure sensitive analog switches used in buttons and thumbsticks from a single supplier, Fujikura America. According to manufacturers that spoke to 9to5Mac, pressure sensitive switches may have been an area where costs could be cut if they were not forced to use Apple-approved supplies. Apple isn't setting specific prices for the controllers, but these supply costs, coupled with licensing fees and other component costs are edging the controllers to the $100 range. Along with cost, other construction limitations may be affecting build quality. In addition to specifying the build of the pressure-sensitive buttons, Apple also has requirements that cover the joystick range of motion, d-pads, color, labeling, layout, and more. There are other limitations of the program as well. For instance, the d-pads must be one circular button, opposed to just a raised cross shape or separate buttons for up, down, right, and left that you find on PlayStation and Xbox controllers and that many gamers prefer. The requirements also extend to the color, labeling and layout of the face buttons, thumbsticks, triggers, etc. It's all meant to control quality and make it easy for developers to update apps to support all controllers, but in some areas Apple's controller specification might not be strict enough. Quality issues can also be chalked up in part to the rapid development of the first crop of MFi controllers. Apple introduced the API back in June, but developers and manufacturers had little time to get a controller out before the holiday season. One Logitech employee expressed disappointment to 9to5Mac over the quality of the controller and said that it was "put together in haste." One final problem with the controllers lies in developer hands, with some developers expressing reluctance to implement support for subpar hardware and others seeing no need to add support to their games. For other developers, especially those that developed games specifically for the touchscreen, controller support just doesn't make sense. App developer Massive Damage compared the controllers to Kinect: "An optional piece of equipment with relatively low market penetration that a developer has to program and design for explicitly." It won't introduce controller support in any of its games "until iPhones come with controllers out of the box." According to accessory maker Signal, the company currently developing an Xbox-style MFi game controller, it is not currently possible to create a reasonably priced controller (matching the cost of low-priced generic Bluetooth controllers) with the quality of those from Microsoft or Sony under the MFi program. Though MFi game controllers are riddled with issues, there is room for improvement in the future. It is possible that with more development time, second-generation controllers could have a better build quality, and it is also possible that Apple could relax its restrictions in the future to make it easier for companies to source less expensive components. Existing controllers will also see improvements as developers embrace the technology and build specific support into a wide range of suitable games. It's not accurate to link poor build quality with Apple's guidelines. High price, yes, but build quality is not a guideline issue (but design is linked with Apple's guidelines). If companies are forced to use an overpriced supplier by Apple they will undoubtedly look to cut costs elsewhere, like for example in their build quality. If Apple are explicitly telling them to use switches from a certain supplier then it sort of is Apple's fault, by proxy. I have read all the article and still don't understand how Apple is responsible for the poor build quality of those controllers. Nowhere does it state they need to use cheap plastic, and there isn't any maximum price imposed by Apple. If they choose to use cheap materials to hit the $99 price tag while having a specific profit margin, that's their decision. Same goes for the poor molding with rough edges reviewers are complaining about. Apple is only responsible for the switches and button placement/color/thumbstick range of motion, but that's not what reviewers are complaining about. You don't see Apple releasing $499 MacBooks that have serious build quality issues then blame Intel for not making cheaper CPUs. They make a quality product first, the rest follows. Nobody's forcing those manufacturers to apply the opposite strategy. actually that's part of the guideline. see Apple's documentation. Line 1053: Build quality must be bad. As soon as I find one that promises a good build quality, I'd spend $100 on a controller. I'd by a decent controller at $40, not $99. What is preventing Apple from allowing a PS4 or XB1 controller to pair with an iOS device over bluetooth? We know it can be done because there is an app in cydia that does exactly that! When in doubt, blame Evil Apple. But Apple insisting on consistent controls is not a one-sided bad thing--it's an (unintended) TWO-sided thing. And in the end of course, a good thing. A thing that prevents other problems, while the bad side fades from memory. The problem of this particular component being expensive is not an issue that has to last forever. Furthermore, we have to ask: should Apple dictate ANY standards for controllers? I think we can all agree, after years of slightly-weird different controllers, yes, they should. Are they expected to get every detail of those standards perfect in the very first attempt? Well, that would be nice, but more realistically, the second wave of controllers was always going to be better. Meanwhile, Apple's MFi standards are mostly really great--far better than I'd have even wished for, right down to analog buttons (and yes, the feel/behavior of those buttons should matter, or else some games will be hard to play on certain controllers).